Anglo American’s commitment to concerted transformation, both within its own business and within broader South African society, resulted in the company supporting the 2012 Transformation Indaba. The Indaba aims to drive transformation delivery within the mining sector, by providing practical and replicable solutions. The dialogue during the course of the two-day (14-15 November) event was enhanced by industry experts from the broad transformation arena. As part of the company’s support for the Indaba, Anglo American provided considerable intellectual capital, with several company executives adding their voices to pertinent transformation issues as keynote panellists. These included Dr Lia Vangelatos, acting head of Anglo American’s enterprise development arm, Zimele; Yvonne Mfolo, Kumba Iron Ore executive head: Public Affairs; and Anglo American Platinum Limited head of Supply Chain, Clive Govender. Dr Vangelatos discussed Anglo American’s successful collaborative approach to transformation when she sat on the panel for the session on Public-Private Partnerships: A Tool for Local Economic Development. 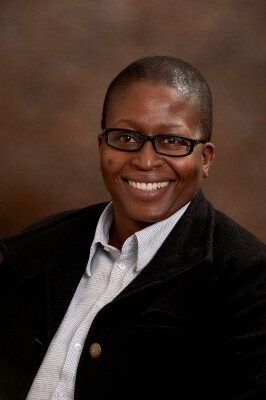 Furthermore, Mfolo served as a panellist for the session on Stakeholder Engagement: Your Communication Toolbox, while Govender was a keynote panellist for the session on Procurement: SMME Development - the Value Chain in Procurement. Anglo American is well placed to offer insight and advice on these issues, as the company has an impressive transformation record. In fact, the 2014 Mining Charter target of 26% ownership has already been achieved by all of the company’s South African operations. In addition, since 1994 Anglo American has completed approximately R67 billion worth of black economic empowerment (BEE) deals. Anglo American firmly believes that employment equity, like any transformation initiative, is about development, and it continues to search for and grow people who support this principle. The company has made strong progress in furthering employment equity. As of December 2011, historically disadvantaged South Africans (HDSAs) occupied 25% of top management, 35% of senior management, 55% of middle management and 65% of junior management. Furthermore, the company has proved successful in attracting females to the mining industry, with women now constituting almost 14% of employees, and 24% of its management at all levels. 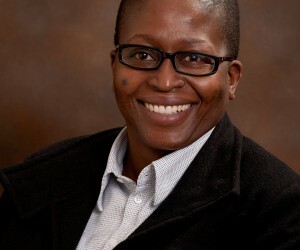 Anglo American South Africa’s head of Transformation and Regulatory Affairs, Lindiwe Zikhali, said that the company’s involvement in the Indaba is closely aligned to its overall transformation aspirations. “In all our activities, Anglo American strives to contribute meaningfully to the transformation of the mining industry and the country as a whole. This ethos is defined by our commitment to ensuring the communities affected by our mining operations have sustainable and long-term economic upliftment.